What is an eco tour and why are they so popular? Is the word “Eco-Tour” just a kitschy sales pitch that appeals to our sensitive nature? Eco-tourism is more than just a trendy word, it’s a well define philosophy that incorporates nature and wildlife travel with providing a responsible and well-meaning benefit to the areas that are travelled to. The World Conservation Union (IUCN) says that “Environmentally responsible travel to natural areas, in order to enjoy and appreciate nature (and accompanying cultural features, both past and present) that promote conservation, have a low visitor impact and provide for beneficially active socio-economic involvement of local peoples.” That sounds nice, but what does it really entail? First of all, eco-tourism must be sustainable. Most travel and touring isn’t. Contrary to popular belief, eco-tourism doesn’t just mean that you’re travelling to the Galapagos to experience an endangered species, or flying over Borneo to visually experience the loss of rainforest habit. This is special, but you’ve got to ask yourself, what am I really doing when I am travelling this way? This is what eco-tourism means when it says that it is “sustainable”. An eco-tour will not only minimise impacts on the area visited, but they should also help the area too. There are many ways that an eco-tour can help an area. Many people immediately think, “money” but that is only a small part of what a tour really does. “Money” can come in the form of a direct payment, such as admittance to a wildlife park. However, often it means that the proceeds from the tour might assist in land acquisition to increase protected areas, or provide new research opportunities to local scientists working in the area. More often than not, “money” actually means a contribution to the locals in the area. Often in marginalised areas, eco-tours provide income for local communities and schools and provide valuable infrastructure and resources such as better roads, networks and even water. Cultural appreciation is also a huge part of eco-tourism. Some of the most popular areas for eco-tours are inhabited by unique and interesting indigenous populations. Many of these community “stakeholders” benefit from increased income, but also from the ability to educate the tourists about their people and their land. Many eco-tourist sites build museums and libraries to promote and preserve the local culture. There must be a fine line between the promotion of local culture and the influx of foreign visitors. The best eco-tours will make sure that the population does not grow over-dependent on visitors and their income. Above all, an eco-tour should educate the visitor. The education part of the tour provides a context to the whole experience. Taking a photo safari of the wild lions in Kenya is very exciting, but if all you are taking back are some snaps, rather than information on the conservation efforts and how you can help, then the entire experience may ring hollow and meaningless. A great eco-tour should empower not only the individual about conservation efforts, but also provide the local community with the means to “practice what it preaches.” A visitor should be able to go home and accurately explain their experiences to friends and family and inspire other group of eco-tourists. When looking for a unique way to travel, an eco-tour should be considered. Use the tenets above to find a tour that is not only interesting, but thoughtful in its approach to conservation, the community and to local culture. This will be an amazing experience and provide a lifetime of memories. Eco-Tourism is a fantastic way to explore the best that Australia has to offer. Eco-tours make the most of a destination, exploring the natural surroundings, learning about native flora and fauna, and experiencing local culture. Eco-tourism isn’t just about leaving the country to far-flung locations, wearing some cool ‘out there’ eco fashion wear, there are some amazing destinations right here on our home turf! Scott Ricketts is a professional Sydney tour guide and owner of Your Sydney Guide. He is passionate about giving visitors to Sydney, and those resident there, the adventure of finding hidden secrets in the New South Wales region.He also loves exploring my own backyard and believes there is nothing better than the eco-delights of The Blue Mountain Region, The close proximity to the Sydney CBD makes it one of the easier day trips from Sydney that Your Sydney Guide offer. A short drive time allows a full day of off beat eco touring of the region. 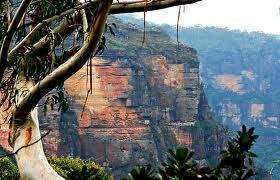 For more information on Your Sydney Guide and the eco tour options offered, visit their website. No matter what kind of tour that you will look for, close to home, or states away, think about booking an eco-tour and turn your next holiday into a creative learning experience that will stay with you for a lifetime.